How is your new year going so far? I hope it’s off to a great start! This year is going to be a messy one over here – but hopefully some beauty will emerge through the dust and demolition! I have a lot to share with you this year that I hope will serve to encourage, inspire, or light a fire for you! I would not be a DIY and design blogger today, doing things like remodeling our half wall and column, tiling our bathroom floor and helping others to design and improve their homes, if a decade ago I hadn’t stumbled across blogs that truly empowered me and gave me the courage to go after some these pursuits. My very favorite part about blogging is sharing projects that resonate with many of you and that you’ve used for the betterment of your own homes! I hope you will enjoy the fun things coming this year! Here are a few things you can expect to see…..
After oh so many starts and stops, YES!! OUR KITCHEN RENOVATION IS FINALLY AND TRULY HAPPENING! I’ll tell you all about it in a post this week, because there is so much to dive into there, but obviously it didn’t get done by the end of the year as I was gunning for in the fall (was I insane?) 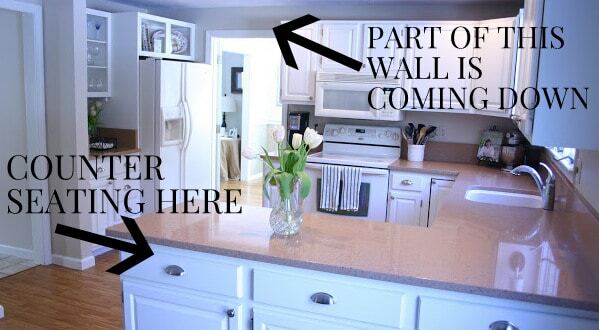 Today part of a wall is coming down, the cabinets are ordered, appliances are en route, contractors are lined up and there is so much to come about that long awaited project, I can’t wait to share it all with you! 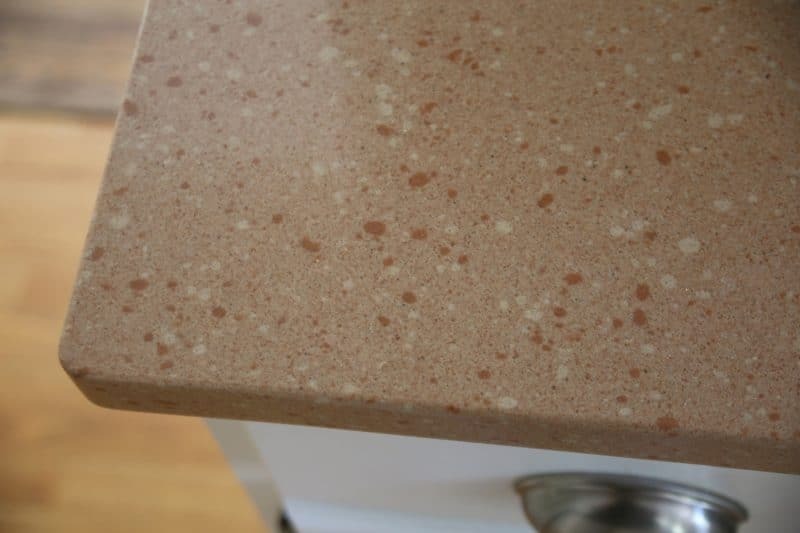 The days are numbered for these baloney countertops, hallelujah!!!!! This might be even bigger than the kitchen renovation! The 80s tile floor is going along with two layers of vinyl flooring in our kitchen and hallway, and will be replaced with white oak hardwoods to match our living room, dining room and family room. 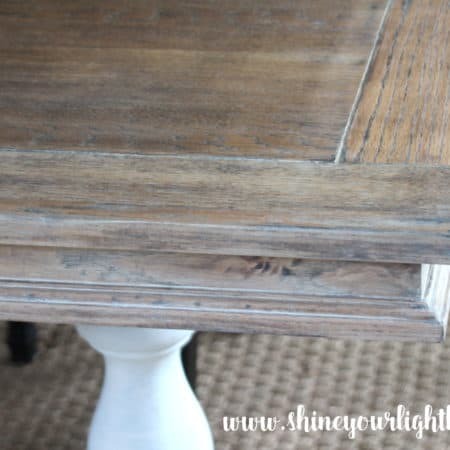 The hardwoods in those rooms are extremely worn out (and have yellowed through the years), so they’ll be sanded – then all the floors will be stained and sealed! To make this all happen, we have to move ALL the furniture from our entire first floor OUT, take down all the curtains, art and mirrors and seal off the bookcases (because there is no way I’m packing up all those books!). Updating our floors is going to be HUGE and really change the feel of our whole house, and I cannot wait!! Talk about a domino effect!! We waited to do our floors until the kitchen renovation was happening so we wouldn’t have to live through that kind of upheaval twice (or have to patch the kitchen floors if the layout changed), and I knew I’d have to address the stairs when this time came also. I stained these stairs ebony because after ripping off the carpet from the previous owners and then stripping and sanding the treads, it was evident that pets had peed on the steps many times. They were horribly stained and I gave up trying to sand the discoloration out. 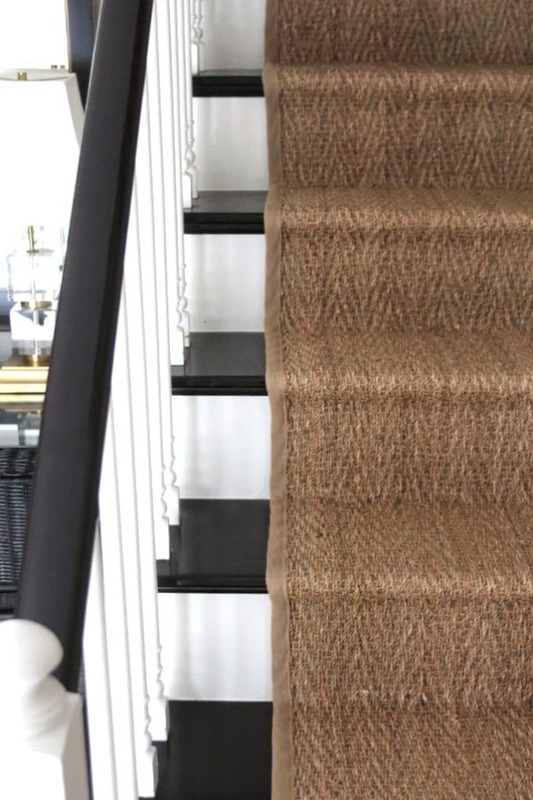 I love the look of the dark treads with the white risers and spindles and the seagrass runner, but have found the ebony shows everything – literally every speck of dust. 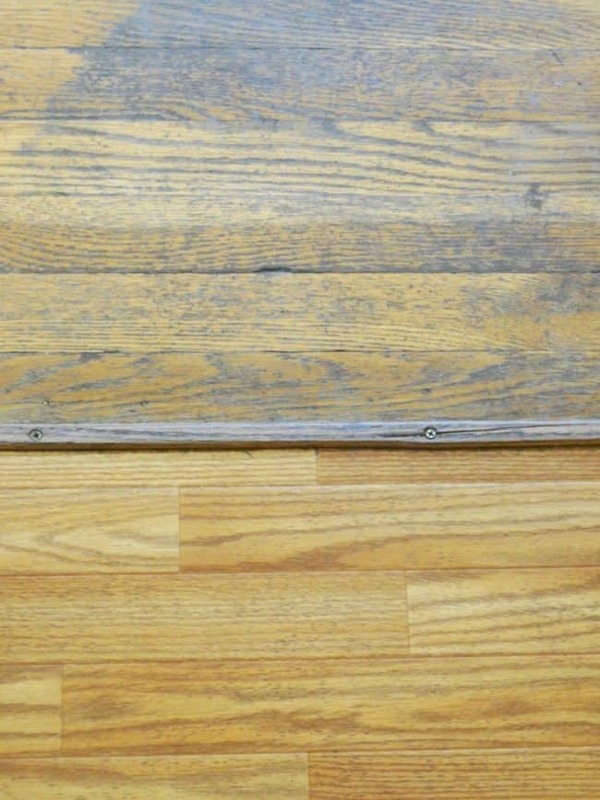 Since we’re doing the floors I figured it is time for me to re-sand the steps and staining them to match. PHEW! I’m tired just thinking about doing that again! Since I’m doing the treads over, I’m thinking this might be time to tackle another carpentry project I’ve been mulling over – changing out our newel post! 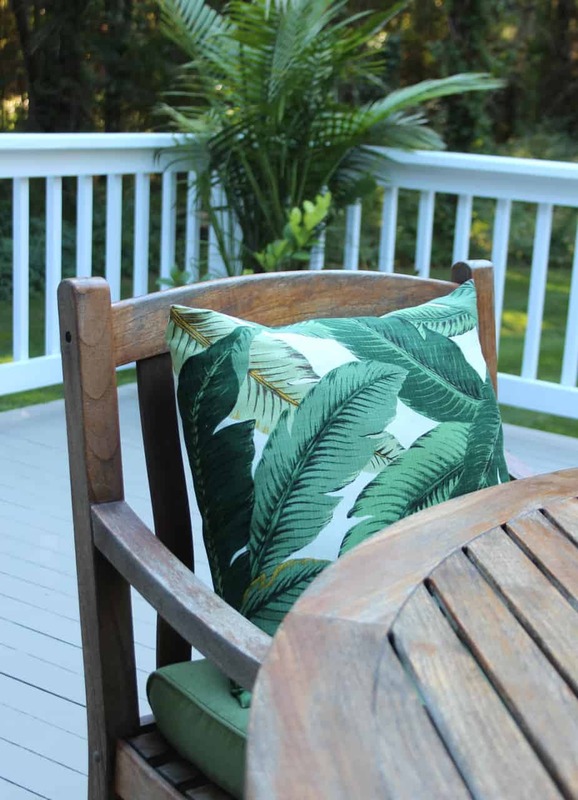 One More Big Project – The Deck Makeover! 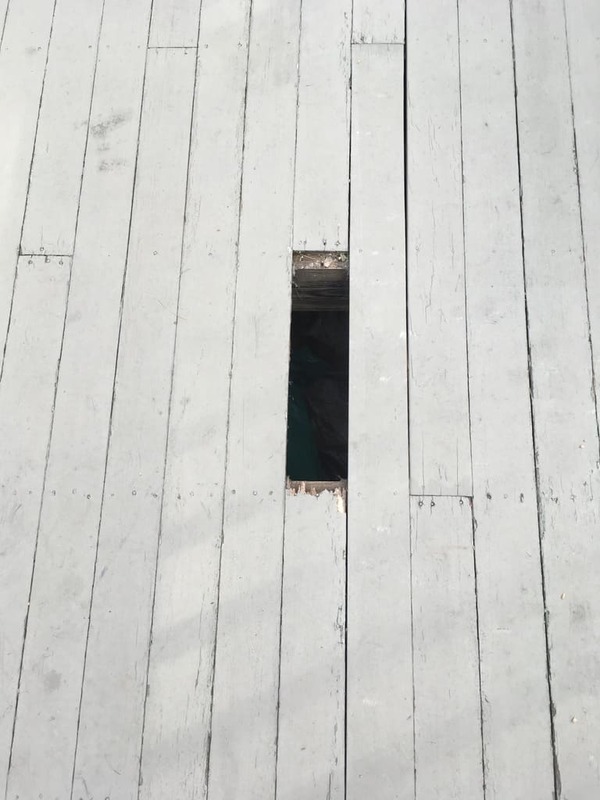 …and we’re worried someone is going to get seriously hurt walking across the deck if a rotted piece gives way. After the kitchen and floors, there isn’t going to be a lot left in the home improvement budget this year, so this will most likely be a DIY demo and rebuild! Better Way Friday is a collaborative organization, tips and tricks series inspired entirely by a question I asked readers on the Shine Your Light Facebook page. So many of you had clever ideas to share that I thought it was high time you have a voice on this blog!! On Fridays I’ll ask you all how you tackle a specific part of your home and the next week I’ll share some of your responses along with what I did. My aim is to do this week to week for the entire year, so together we can all tackle areas of our home one small project at a time. Are you in?? Be sure to follow the SYL FB Page to chime into the discussion and share your best ideas. 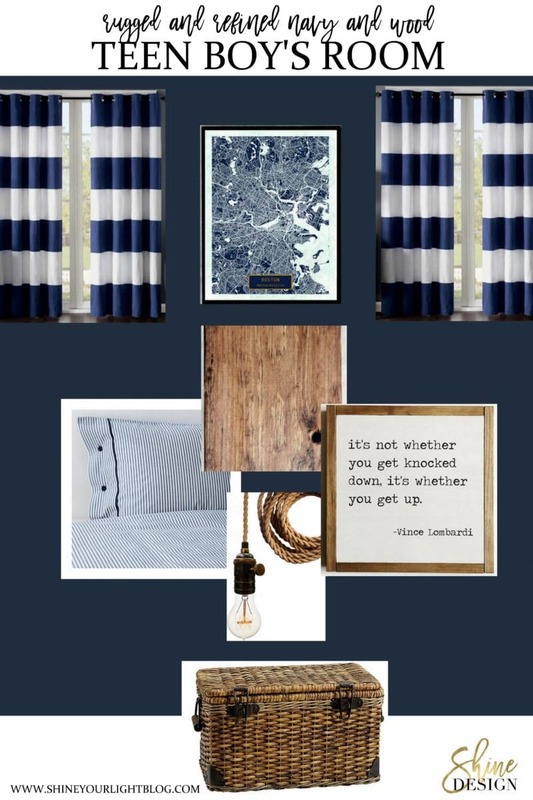 Design, DIY, Splurge & Save is a take off of the Paint Color Crush design board series I did here for a while. In my 2018 survey I heard from a bunch of readers that you enjoyed those posts for ideas on refreshing or updating a space with highs and lows. With that in mind I’ll be focusing on recommendations on where to spend your $$$ as well as budget friendly options and projects you can tackle yourself, and of course I’ll still be throwing my favorite paint colors out there too because you know I love me some paint! Finally, this year I’ll be joining other bloggers for a monthly DIY challenge. Often these challenges will be directly related to the above projects and series – the first one is coming mid-February and the topic is Build To Organize. Stay tuned for a do-able DIY to help you control the chaos in your own home! As always, thank you for following Shine Your Light and being a part of this community dedicated to the love of all things home! I’m happy you’re here and hope we can tackle some great things together this year! Wow, Lisa, you have some BIG projects on the horizon!!! I’m praying this is the year I can build up my savings account instead of tackling projects….going solar and a new well pump were enough for 2018! Looking forward to following along, you have great style, can’t wait to see what you do! Debbie The Bar Cart Lady! How are you?!! So nice to hear from you and thank you for these oh so kind words!!! I hope you are doing great, happy new year ahead! I used to blog years ago at NestNestingNested, I recently started a new blog LeCultivateur. I’m so excited to see that you are still blogging, and still have such beautiful style!! This is quite the list of projects for 2019!! I can’t wait to follow along and see the amazing transformations!!! Hi Emily!!! So nice to see you back in the blogging world!! Can’t wait to check out LeCultivateur!